Because our domestic pets share our homes and living spaces with us, often sleeping on our beds and couches, we like to have them clean. Clean in a human context will usually be defined by taking a bath or shower every single day of our lives. We further enhance our “grooming routines” by blow-drying and styling our hair, putting on make-up, applying moisturisers and firming lotions, oils and creams on our faces and bodies, and using deodorants and perfumes to round the routines off to further enhance the notion of beauty, cleanliness and freshness. Very few animals enjoy this same routine on a daily basis and in actual fact it may be detrimental to them if we do try and put them through the same routine each and every day. Many people ask, how often do I need to bath my dog or cat and even so-called pocket pets like rats, mice, gerbils, chinchillas, rabbits, hamsters, guinea pigs or other similar small creatures we like to keep as pets. There are many different points of view and because circumstances vary from animal to animal and the conditions and environment they are kept in, there is no “one size fits all” approach which can be applied. As a rule of thumb, pocket pets never need to get a bath. Most of these small creatures groom themselves well enough to be relatively clean. Depending on how often they are handled by us and coming into physical contact with us, there should be no need to bath them. Dogs and cats on the other hand can be frequently bathed, even as often as once or twice a week, but care should always be taken to bath with an animal-specific shampoo and not human shampoos or soaps. The general rule of thumb should be to bath the animal when they are dirty or smelly and preferably not more than twice a month. 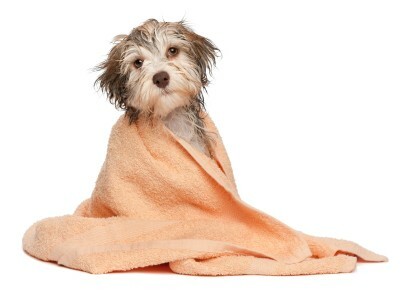 Bathing too frequently can dry out the coat as it removes the natural oils secreted by the animal’s skin. Dogs and cats can happily live without ever having a bath. This would not be considered detrimental to their health at all and as a matter of fact many dogs and cats never get a bath in their lives. So the question then arise, why do we need or want to bath our dogs and cats? There are various reasons. The first and most obvious is because we love the odourised smell and soft feel of the fur or coat of our pets after a bath and love hugging and kissing our pets when they are clean and fresh. Vets may recommend bathing an animal with a therapeutic or medicated shampoo in the case where an animal has a skin condition or external parasites. Bathing helps to remove dead and diseased tissue and medicates the skin, in some cases to kill overgrowth of bacteria or fungi and in other cases to kill parasites. Medicated shampoos in veterinary medicine have become very specialised and specific in terms of its mode of action and what it works against or works for. Advanced technology has gone into the development of animal shampoos making them perfectly suitable for animal skins, which is quite different to human skin, as well as giving them qualities like a residual effect where the benefits of shampooing the animal last for days after the bathing procedure has taken place. The structure and makeup of animals’ skins vary tremendously from species to species. Many people consider human skin to be much more vulnerable to external factors than animal skin. At face value this may seem the case but we forget that animals, in most cases, have much more hair which cover their skin and that in certain cases animal skin may be much more sensitive. The use of human products in animal hygiene can be detrimental. Dogs have an alkaline pH on their skins which usually vary between 7.2 and 7.6. Humans have an acidic pH on our skins of 5.5. Therefore washing a dog with a human shampoo or soap has a strong possibility of upsetting the pH balance of the skin. The superficial surface or outer layers of the dog’s skin (the epidermis) is thinner than that of humans. We tend to associate human skin with a very thin outer layer because of the lack of hair. However if the hair of a dog is removed and human and dog skin are compared in an “apples to apples” fashion, the outer layer of the dog is thinner. The turnover rate for dog skin is also faster than that of humans. Dogs and cats do not have sweat glands all over the surface of their skins like we do. A bad, sweaty odour is therefore not something most animals have a problem with. Animals have a follicular cycle where they shed and retain hair depending on the season. Most people think that this is as a result of heat or cold. However it is related to daylight length and governed by a small gland in the brain called the pituitary gland. When days are long, hair is shed and when days are short hair is retained and grows longer. Keeping these differences in mind should act as a guideline as to how often our pets need to be bathed and what products we need to use for the process. As far as the physical process is concerned, here are some guidelines. Use water with a lukewarm temperature to make the experience as comfortable as possible. Prepare and plan everything in advance and make sure you have everything you are going to need at hand. There is nothing as difficult as trying to restrain an animal which is desperately trying to get away from being bathed, and having to stretch and reach out for towels or shampoos which are out of reach. Remove mats or knots in the hair with a brush before bathing. Place cotton wool in the animal’s ears to prevent water from penetrating the ear canals. Lubricate the areas around the eyes with mineral oils or lubricating gel to prevent soap from getting into the eyes. Be careful during the bathing process not to get shampoo or soap into the animal’s eye and should it happen rinse thoroughly and repeatedly with clean lukewarm water. It is always best to use a sponge for washing the face. Soak the animal’s coat or fur well before applying shampoo. Once the shampoo has been applied and thoroughly rubbed all over the body, leave it for a few minutes (5 minutes) to take proper effect, before rinsing off. In the case of medicated shampoos leave the shampoo on the skin for at least 10 to 15 minutes. Rinse the animal thoroughly and, if need be, repeat the shampooing and rinsing to really clean well. Once the rinsing is complete, remove as much water as possible by rubbing with your hands tightly against the animal’s skin in the same direction of the hair. Be careful of the classic shaking which most dogs do after getting wet. This may leave you and your surroundings soaked. Dry with a towel and then follow up with a blow dry. Some animals have an incredible fear of the noise created by conventional blow dryers and the animal’s temperament needs to be taking into consideration in this regard. Be very careful not to burn the animals skin by keeping the blow dryer too close to the skin. It is always preferable to use low heat or no heat when drying an animal with a blow dryer. Be careful of the habit of dogs to go and roll on the lawn or dust after a good bath. It may just leave all your hard efforts in the lurch. There are few things more pleasant in pet ownership than interacting with your pet after a good bath when their fur is shiny and soft, and they smell like a breath of fresh air. Enjoy the spills of a good bath for your pet every once in a while.